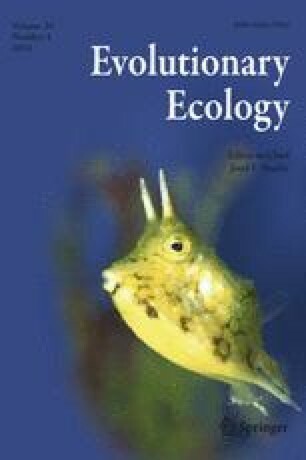 In heterogeneous environments, selection on life-history traits and flowering time may vary considerably among populations because of differences in the extent to which mortality is related to age or size, and because of differences in the seasonal patterns of resource availability and intensity of biotic interactions. Spatial variation in optimal reproductive effort and flowering time may result in the evolution of genetic differences in life-history traits, but also in the evolution of adaptive phenotypic plasticity. The perennial herb Primula farinosa occurs at sites that differ widely in soil depth and therefore in water-holding capacity, vegetation cover, and frost-induced soil movement in winter. We used data from eight natural populations and a common-garden experiment to test the predictions that reproductive allocation is negatively correlated with soil depth while age at first reproduction and first flowering date among reproductive individuals are positively correlated with soil depth. In the common-garden experiment, maternal families collected in the field were grown from seed and monitored for 5 years. In the field, reproductive effort (number of flowers in relation to rosette area) varied among populations and was negatively related to soil depth. In the common-garden experiment, among-population differences in age at first reproduction, and reproductive effort were statistically significant, but relatively small and not correlated with soil depth at the site of origin. Flowering time varied considerably among populations, but was not related to soil depth at the site of origin. Taken together, the results suggest that among-population variation in reproductive effort observed in the field largely reflects phenotypic plasticity. They further suggest that among-population differentiation in flowering time cannot be attributed to variation in environmental factors correlated with soil depth. We thank Saskia Sandring and two anonymous reviewers for comments on the manuscript, and Sylvia Fernández, Lilian Granlund, and Erica Torninger for assistance in the garden. Financial support from Helge Ax:son Johnsons foundation and the Extensus foundation to PT and from Formas and the Swedish Research Council to JE and JÅ is acknowledged.